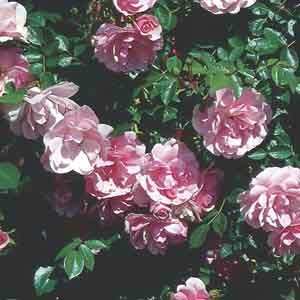 Shrub roses can bring color, and often fragrance to any style of sunny garden. They work well as hedges or interplanted with other shrubs and with perennials. Their glossy foliage and upright growth habit lend beauty and structure even when blooms are not present. A multitude of bloom colors and sizes are available and the flowers may be solo or clustered depending on variety. A classic favorite for landscape focal points. An excellent specimen, foundation, or border plant. Beautiful grouped or massed in a shrub border.